Lea Dykstra blessed the many lives she touched over the past 88 years. She was predeceased by an infant daughter Dianne, her husband John and grandson Greg. 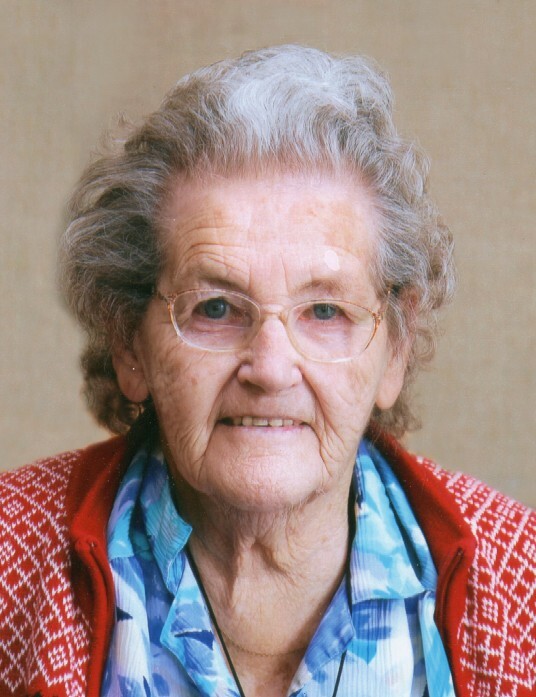 She will be greatly missed by her 8 children – Arthur, Peter (Cec), Marguerite (Merv), Shirley (Joe), Johnny, Chip (Maureen), Leanne (Brent) and Joanne (Joe). 20 Grand Children- Camille (Tyler), Caryn, James (Tina), Courtenay (Daniel), Cathlyn (Stephen), Stacey (Scott), Nicole (Ian) Chelsie (Ty), Richard, Debra (Jason) Jesse, Benjamin (Ashley) Tom, Cheryl (Michael), Matthew, Aleacia, Eric, Tyler (Miranda), Morgan and Bailey. 13- Great Grand Children Lea, Grady, Payton, Jocelyn, Erin, Gabriel, Aria, Madelynn, Anika, Ellery, Delaney, Zoey-Lynn, Sativa, and many very special friends. Lea and John immigrated to Canada in 1952 and settled in the Ponoka area where they successfully farmed for many years. As a storyteller, mentor and friend she inspired us all. A Public Graveside Service will be held at the Forest Home Cemetery, Highway 53, 5110 67 St, Ponoka, AB T4J 1K3, on Monday October 29, 2018 at 12:00 noon. A Public Funeral Service is to follow at Bethel Christian Reformed Church, 5704 51 Ave, Lacombe, AB T4L 1K8, on Monday October 29, 2018 at 2:00 pm. If friends desire memorial contributions may be made to Spina Bifida & Hydrocephalus Assn Of Northern Alberta, 11010 101 St NW, Edmonton, AB T5H 4B9. - or- Schizophrenia Society Of Alberta, 4809 48 Ave, Red Deer, AB T4N 3T2. -or- Alzheimer Society of Alberta, 14925 111 Ave NW, Edmonton, AB T5M 2P6. A special thank you to Gail, Joyce and the staff at Northcott for many years of care and comfort.